An occupational health service provider owned by the CFMEU and the NSW Minerals Council has been accused of providing mining companies with financial kickbacks that disadvantage doctors tendering to perform compulsory medical exams on coal workers. Coal Services Health has been accused of paying mining companies $220 rebates for using their services, which independent doctors say is keeping them from gaining work. 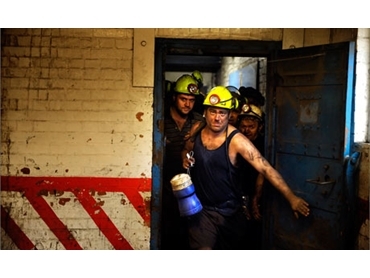 In February 2011, Coal Services developed “Order 41”, which required “employers of a coalmine worker or operators of a coal operation in NSW to ensure that pre-placement and periodic health surveillance medical assessment are completed for their workforce”. Occupational physician Dr Maurice Harden said a mining company told him that his tender to perform the medical exam had been “competitive in every aspect other than our inability to provide a rebate for each medical examination conducted”, The Australian reported. “When I inquired further about this ‘rebate’, I was told by the mining company that Coal Services provides the company with a rebate of $220 for every medical that they conduct,” Harden said. Harden says the money is preventing the delivery of independent medical services in the Hunter Valley region. “When there is so much concern in the Hunter Valley community about the impact of dust, noise vibration and other issues in the coal industry, this practice is stopping us from being able to properly investigate,” Harden said. Harden wrote a letter to former NSW resources and energy minister Chris Hartcher in March 2012 to complain about the payment of “rebates” by Coal Services. In June 2012 Hartcher responded that the matter had been referred to NSW Trade and Investment division of the Department of Minerals and Energy to “examine the significance of any such practice and the potential influence it may have on the market as an approved company under the Coal Industry Act”. “You will be advised of the outcome of this investigation when it is finished,” the letter stated. Harden said he is still waiting for a response. A Coal Services spokesperson said a rebate was paid to one company to offset the payment for medical services as part of compulsory workers’ compensation premiums.